We English is the highly anticipated result of London-born photographer Simon Roberts’ year-long journey around England.With his wife and daughter, Roberts caravanned around his country, documenting its landscapes, both natural and social, with a large format 4 x 5 camera. 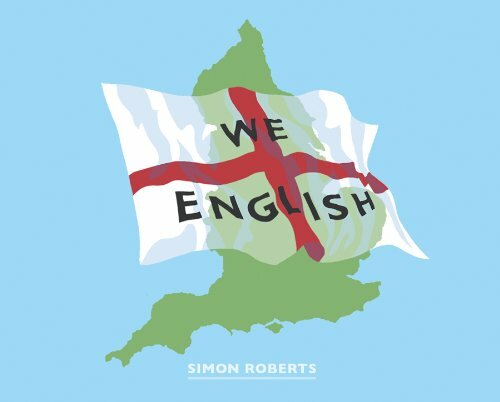 “There is no such thing as a definitive set of images that encapsulate Englishness,” Roberts has said; “We English is about social landscapes but it is not about social or political analysis. It does not seek to define but simply to represent.” Roberts, who was born in 1974, is informed by the photography of predecessors such as Tony Ray-Jones, John Davies and Martin Parr, by the Romantic tradition of English landscape painting, and—notably—by the paintings of Pieter Brueghel and L.S. Lowry. Roberts merges these influences with his own impulses, depicting the English at leisure in bucolic settings in a manner that is all his own, resulting in a work that is beautiful, accessible and heartwarming.We English is the most significant contribution to the photography of England since John Davies’ The British Landscape (1979–2005). Following the critical success of Motherland (2007), this is Roberts’ second book, superbly designed by the awardwinning team at Fuel.